The human influenza hemagglutinin (HA)–tag enables the detection, isolation and purification of proteins. Engineered into recombinant proteins, it does not seem to interfere with its bioactivity or biodistribution. It is derived from a surface glycoprotein of the human virus. The tag consists only of the amino acids 98-106 of the original protein. The HA-tag was used mainly for protein detection. After blotting our SDS-PAGE gels on PVDF membranes, anti-HA-antibodies were used to target our recombinant proteins. Secondary antibodies furnished proof of our proteins. 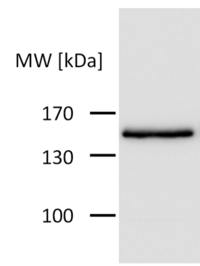 Figure 1: Proteins with HA-tag were detected with anti-HA-antibody on a Western Blot. This BioBrick constitutes the improvement of BBa_K128001 containing the HA-tag in silver standard (for further information click  or ). As the RFC23 pre- and suffix do not automatically include a start and stop codon respectively, N- and C-terminal fusions of this HA-tag don't lead automatically to a transcriptional start and stop of the corresponding DNA-sequence. In contrast, the RFC25 biobrick (which is also suitable for functional part fusions) has the start codon and stop codon automatically included in its prefix and suffix. As our improved BBa_K1150016 contains the RFC25 prefix and suffix, start or stop codon are given beforehand which facilitates cloning and saves time. •	Cloning the HA-tag BBa_K1150016 N-terminal to other fusion parts leads to an automatic transcriptional start due to the introduced ATG in the RFC25 prefix. •	Cloning the HA-tag BBa_K1150016 C-terminal to other fusion parts leads to an automatic transcriptional stop due to the introduced stop codon in the RFC25 suffix. Figure 2: BBa_K1150016 with RFC25 prefix and suffix. Before bringing this tag into the iGEM-standard we first tested its functionality via western blot detection, see Figure 2. As it worked fine in mammalian cells, we used this sequence for our standardized constructs. Testing of our standardized devices including the BBa_K1150016 worked well and also western blot detection was good, see Fig.3. Figure 3: HA-tag fused to CRY2-C-RAF-CIBN-protein encoded on the pEF6/V5-His-TOPO plasmid. Figure 4: HA-tag fused to different dCas9-fusion proteins encoded on the RFC25 pSB1C3 backbone.